A baby's weight is an important measure to help parents, caregivers, and medical professionals monitor development. Different types of scales offer options for how to check baby's weight at home so you can record milestones, approximate how much food your baby is eating, and monitor health issues. Health o Meter's Grow With Me Scale functions as a baby scale, then it converts to a toddler scale when your baby gets too big for the infant tray. As an infant scale, the rounded-edge tray holds your baby laying down or sitting up to measure weight in half-ounce increments. When your baby is able to stand, you can remove the tray and use the teddy bear shaped platform to measure weights up to 60 pounds. Choose between a pounds/ounces or kilograms/grams reading on the display screen. For under $40, this unique, versatile scale gives home caregivers some peace of mind and takes away the burdens of daily or weekly doctor visits. Rocket parents website notes the scale is durable and easy to use, but reviewers especially love the 10-year warranty it comes with. 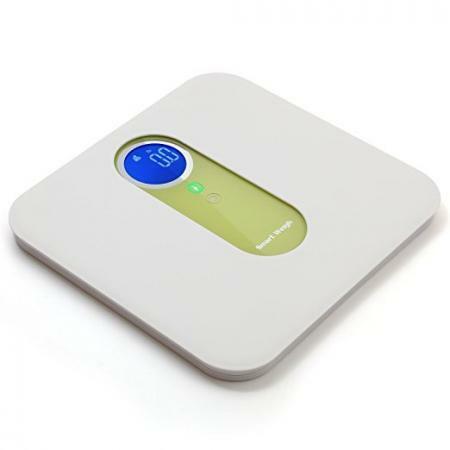 If you want a scale to weigh your baby while you hold her, the Smart Weigh Mother and Baby Digital Bathroom Scale with wide platform offers multiple uses. Breast-feeding moms can use this scale to measure how much baby eats with ease. A tare function records and holds your weight first then calculates your baby's weight after you step onto the scale with him. You'll be able to use this one scale for the adults in the home and kids of all ages. The 12 x 13-inch wide platform allows caregivers of all sizes to fit comfortably on the base. This style measures weight up to 330 pounds and features a blue light display window so you can easily read the results. At just over $20 the scale fits every budget and grows with your family. For caregivers who value versatility and accuracy above all else, Mom Loves Best lists this scale as one of the top 5 baby scales. 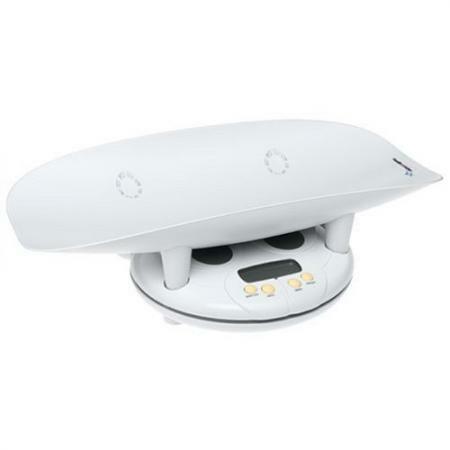 These compact scales feature a unit that displays the weight and a flat or curved surface for holding the baby. Because these scales are short and small in nature, table top scales are great for home use. You place the scale on a hard, flat surface then lay baby on the tray. Tabletop scales should give a good reading, even for babies who move a lot. This style is best for younger babies who can't hold their head up or sit yet, as they'll be supported by the smaller scale surface. Hatch Baby Grow has a changing pad with a digital scale with smartphone capabilities for the ultimate in technology meets baby care tool. At first glance, this sleek scale looks like an ordinary changing pad on top of a baby changing table. The gray foam pad features a curved inner area to safely hold baby along with the safety belt. Using Bluetooth technology, you get weight readings any time you change baby's diaper. You'll love that it fits in your nursery and costs under $130, while your baby will feel comfortable on the familiar pad. In case of any messes, the scale wipes clean. Sunset Magazine raves this unique scale is one of the Top 12 Gadgets every parent needs. If you're looking for a small, portable tabletop scale the EBB-1 Watch Me Grow Digital Scale weighs only 1 pound. The cute polar bear design features a blue backlit screen on the bear's face while his body lays flat in a pear shape to hug baby. While you can weigh babies up to 44 pounds, the unique design of the infant surface is perfect for holding tiny babies. This scale comes with a liner pad to make it more comfortable, a music option to help soothe baby, and a measuring tape so you can take other measurements at the same time. At just under $50 customers and reviewers rave how accurate the scale is in ounces and kilograms and how affordable. Supportive scales are great for babies, toddlers and older children with special needs. These options use innovative designs to hold the child, which also helps free up your hands to use the weight reading tools. While this style offers great support and comfort for your baby, it will take up more space in your home than other scales. The Mechanical Baby Scale with Seat by Health O Meter features an angled plastic seat, metal base and mechanical bar for measuring weight. Health O Meter is a widely respected industry leader supplying 70 percent of scales to physicians in the United States. 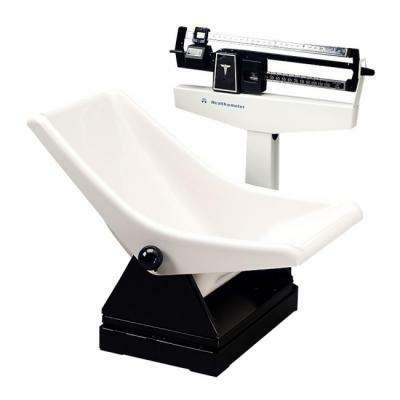 This medical-quality scale holds up to 130 pounds and shows weight in kilograms and pounds. Caregivers who plan to use a scale often and long-term may want to invest the roughly $400 into this durable option which is great for kids from birth on up, including those who will never be able to stand. Thanks to the mechanical bar system, you won't need any plugs or batteries to use this scale. Give baby that cradled feeling during measurements with the Aquascale. This 3-in-1 unit functions as a dry scale, wet scale where baby can be weighed while in the bath and infant bathtub. It also features a built-in thermometer. Use the memory feature to save your baby's weight recordings and help with tracking. A supportive, plastic structure is manufactured in the interior of the bathtub and has a nonslip pad to keep your baby supported. Since the baby fits comfortably into the support piece, you'll have free hands to push the buttons for weighing on the digital screen. 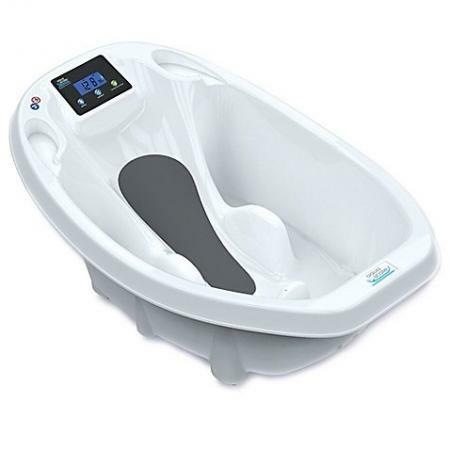 The unique ability to weigh baby in the bath can make weighing more comfortable for babies who love bath time but don't like the cold, open feel of a scale tray or flat surface. 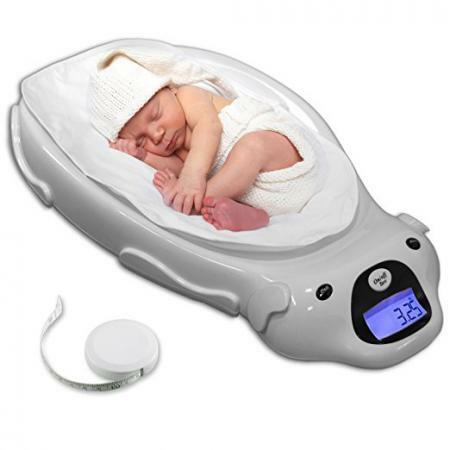 Selling for under $70, customers give this scale 4.5 out of 5 stars for ease of use and baby positioning. Infant home scales are one of many tools parents can use to monitor different aspects of baby's life. 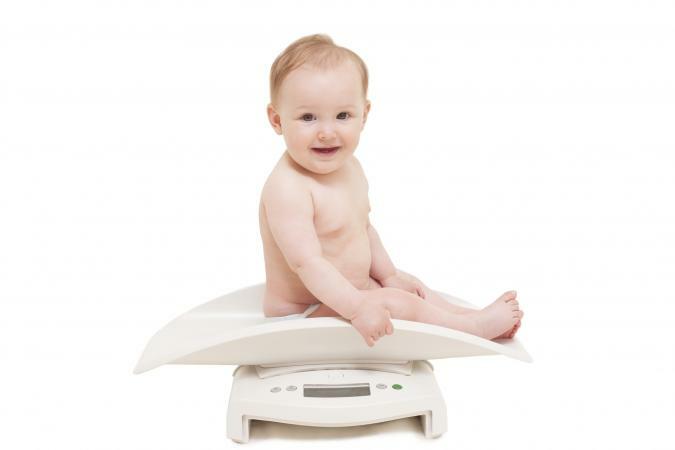 As with all baby gear, you should take into account your baby's weight and age when choosing a scale to buy.